Service Standard | Preference Service | Dedicated Service "Express"
We specialize in the transport of "LAST MILE". 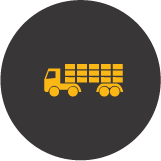 CONSOLIDATIONS: Our distribution concept is based on the optimization of vehicles and postal codes areas. 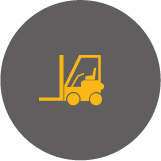 98 % of actual deliveries minimizing the high costs involved returns and second deliveries. Optimizing routes and loads of vehicles allows significant cost savings, which can be more competitive. The driver and the vehicle needed to make pickups and deliveries with all kinds of vehicles, 24 hours a day, every day of the year. You can hire our services by the hour, by the day, for kilometers, custom rates, according to the needs of each client. When it comes to large surface, deliveries have particular characteristics applying extensive experience. Some require concerted date and time from the manufacturer or the large area; in other cases, previously exist the agreements about agreed date and time for the logistics operator. 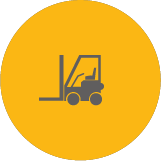 Palletizing Service (capillary distribution of palletized goods) fits perfectly with the shipping needs of this field: small, frequent, regular and time- adjusted shipments. Furthermore, the possibility of combining different modes depending on the volume of each shipment (distribution, groupage and full load) is a differential advantage and a guarantee of operational efficiency to ensure the highest level of quality, minimizing the return of merchandise. We deliver temperature controlled, ensuring the stability of the cold chain, especially during the process. Vehicles have refrigerated (+2 - 8) (+15 ° - 25 °) with temperature recorder (Temperature control way) and certified by Testo. Transport at controlled temperature (FRAY). 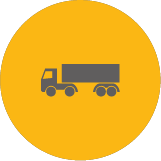 We have prepared vehicles to transport goods DRG and offer advice to our customers through our security adviser. Transport of Dangerous Goods (DRG). Mixed freight and temperature controlled DRG (DRG + FRAY). Export & Import. We have an office in Barcelona airport with professionals to manage the different company airlines warehouse, and we deal with all the paperwork to expedite the loading and unloading of goods in order to support our customers. Pickups and deliveries in stores throughout the metropolitan area and 50 km, 4/8 hours services. Our commitment to deliver to the terminals is maximum at 11:00 to make the office on time. 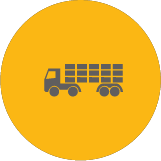 Export & Import - Specialized staff in pickups and delivery in port terminals and customs. Transport and Delivery at home by appointment (Furniture, appliances, etc). 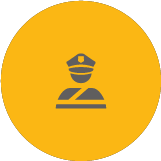 Prepared vehicles and specialized personnel. Our specialty is the local transportation throughout Catalonia, but also provide services throughout the national territory, offering delivery 24h / 48h to anywhere in Spain. Groupage; we have specialist contributors in areas that, because of the volume we have, they offer us excellent services and rates. adrid community service, groupage and full loads Daily service - Direct service. We guarantee collection and delivery within 24 hours. From a package to a full trailer. Without intermediate manipulations. We pick up today and deliver today throughout Spain and Europe, deliveries that cannot wait another day. Without delays or lost time. Our extensive experience in the automotive sector and factories provisioning configures us as one of the best options for consignments that cannot wait. Internationally distribution centers in Europe offering the service in 3-4 days. Complete medium loads and loads; without direct manipulation - 24 hours. +/- 27 Trucks 1.500 Kgs. +/- 10 Trucks 3.000 Kgs. +/- 11 Trucks 5.000 Kgs. +/- 9 Trucks 10.000 Kgs. +/- 5 Trailer 24.000 Kgs. Exchange GPRS - SMS with vehicles in our fleet. 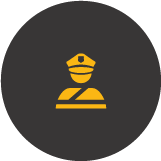 Sending alerts via web or SMS.